3rd Global Summit on Entertainment and Media Focus 2009 of Assocham came to the conclusion that we may be global as far as Indian Film Industry is concerned but still we have to take many measures to be known to rest of the world. Conducting and handling the 3rd seminar of the first day, S.M.Khan, the Director of Directorate of Film festivals of India, Ministry of Information and Broadcasting, Government of India said Â â€œto attract foreign film makers into our festivals Government of India has announced a prize for 40 lacs for the best film, which is highest in the World. The seminar was attended by Madhur Bhandarkar, Ashok Pandit, Mukesh Tyagi, Nevllie Tuli, Hiren Gada, Geetanjali Sehgal and known media personality Sandeep Marwah. The show stopper was Sandeep Marwah who alone with great enthusiasm discarded the views of the other speakers who were not earlier convinced that Indian films and entertainment industry is now Global. Relating poetry to the current situation he won the applause of the audience to maximum. â€œWe need to improve a lot on our marketing techniquesâ€ said Madhur Bhandrakar, â€œWe are behind as far as our subjects are concernedâ€ said Ashok Pandit. â€œWe still have to nourish our talent to an international standardâ€ said Mukesh Tyagi. 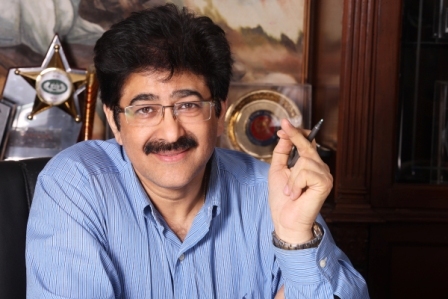 â€œEven after all these drawback our films are watched by two sixth of the World, Indian songs are accepted every where, Industry is still growing, we are still getting awards every festival and competitions, Indian Films are watched with great interest ,Indian artist are appreciatedâ€ said Sandeep Marwah while giving Â ample current examples. Later Sujata Dev paid vote of thanks to the panelist.